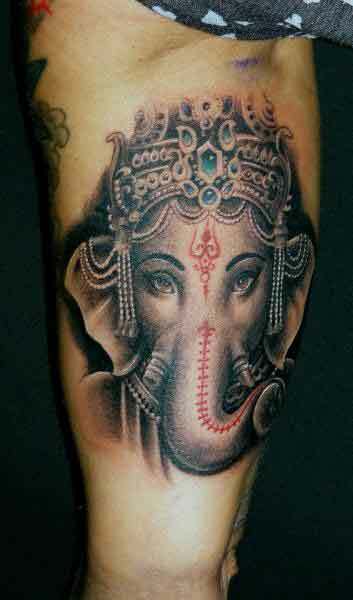 Ganesha (Ganesh) is very popular and most worshiped God in Hindu religion. 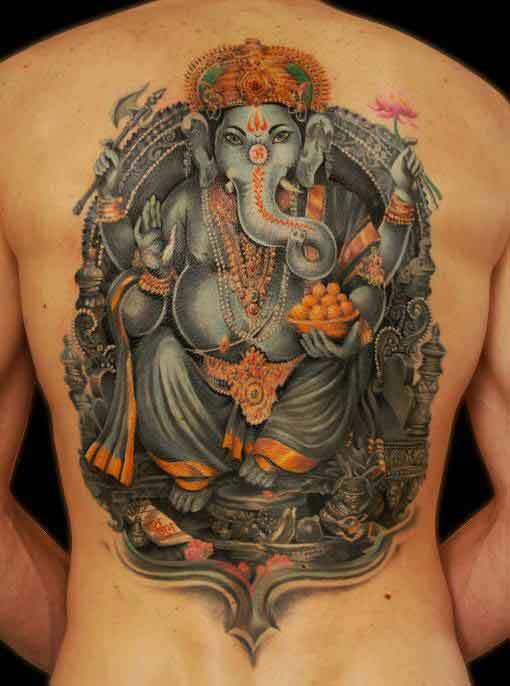 He is the Hindu god with a head of an elephant and pot belied human body. 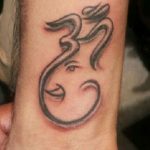 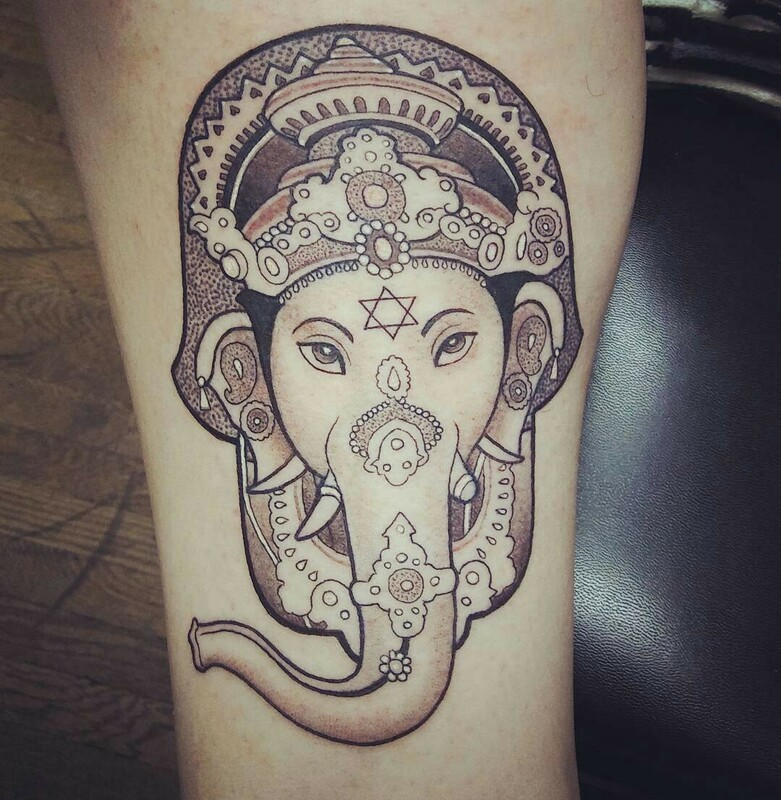 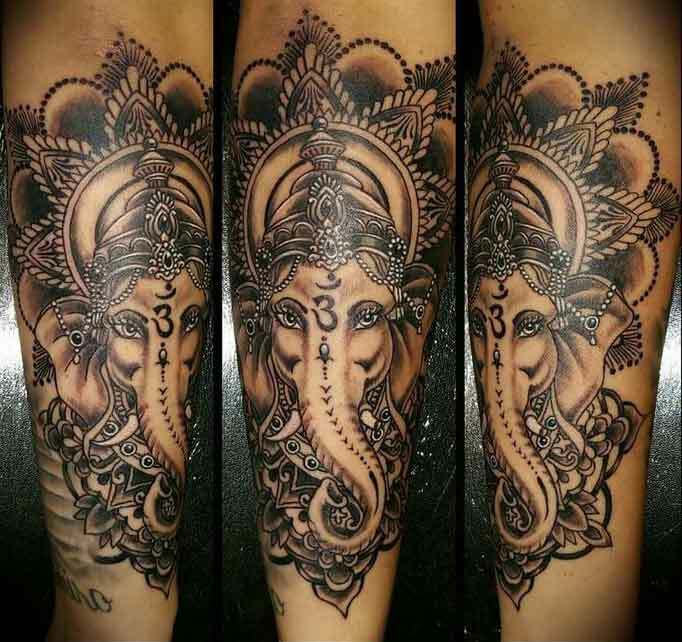 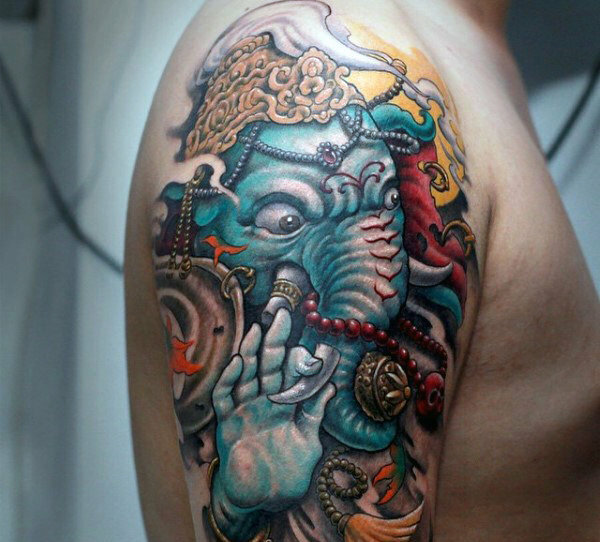 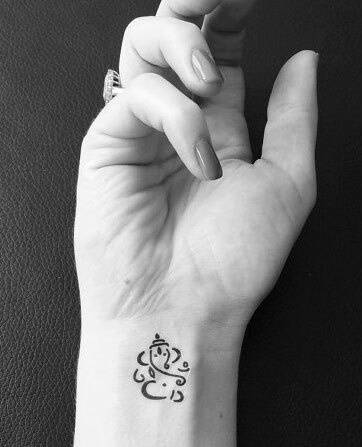 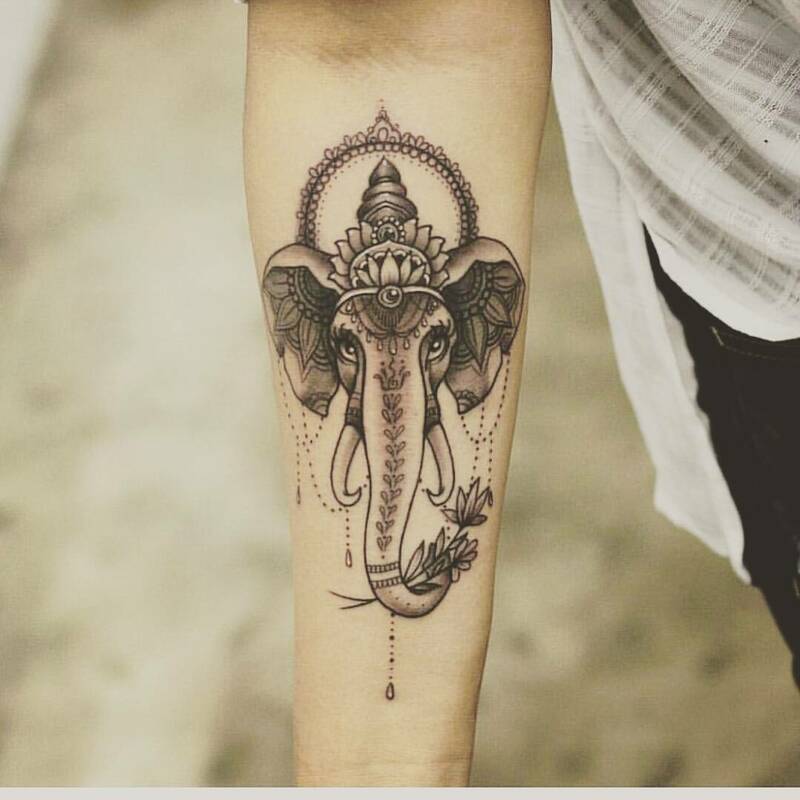 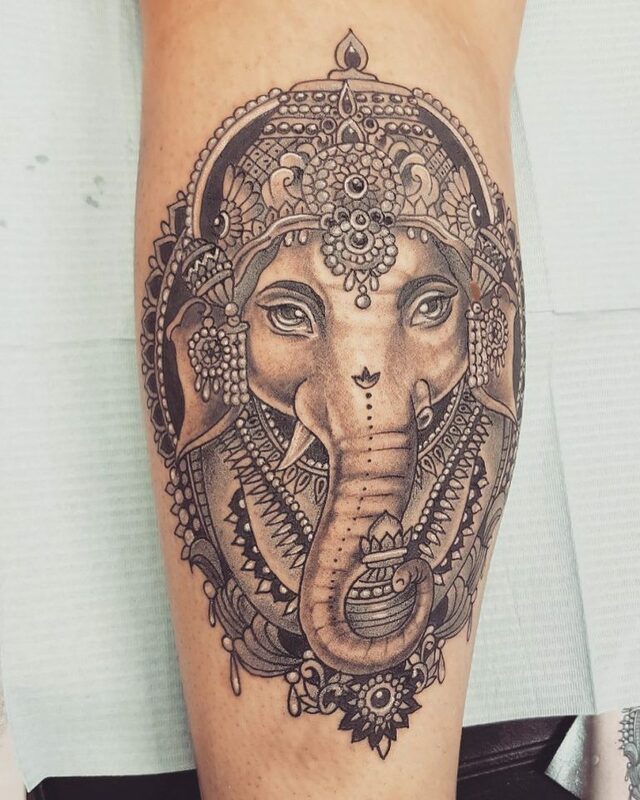 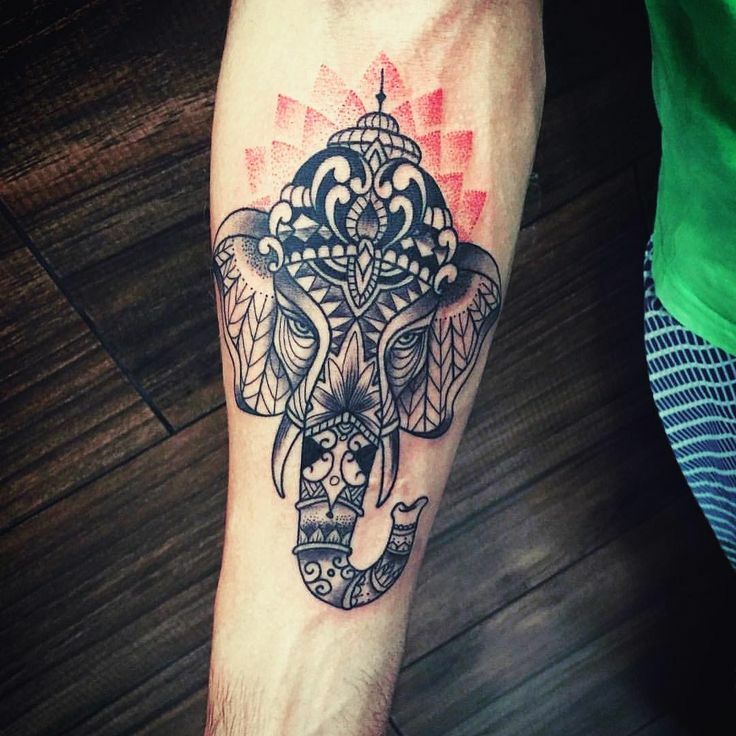 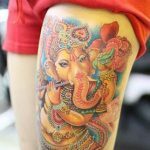 Not only in the east, Ganesha tattoo is also very popular in the west for its spiritual significance. 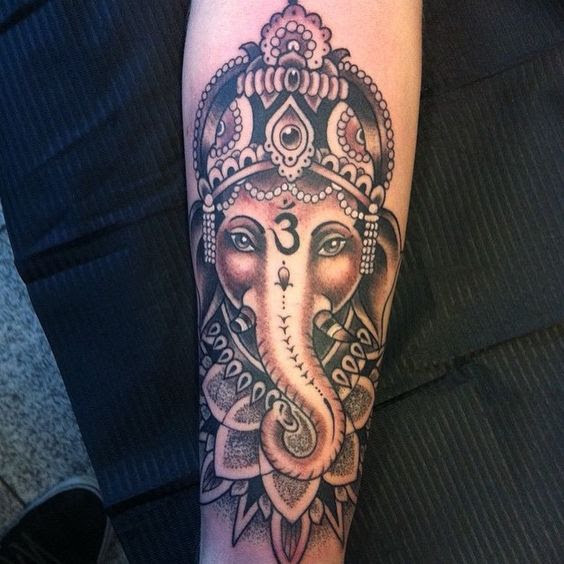 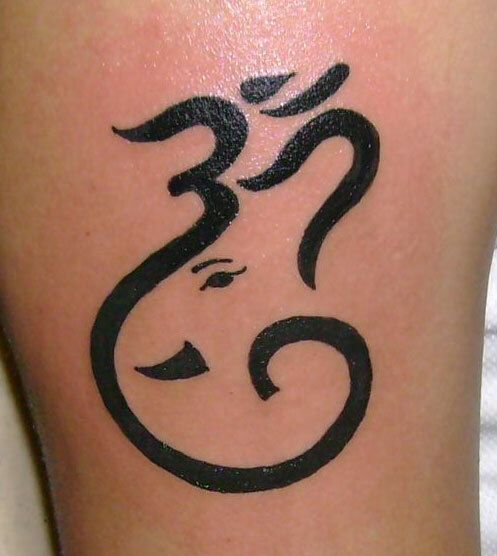 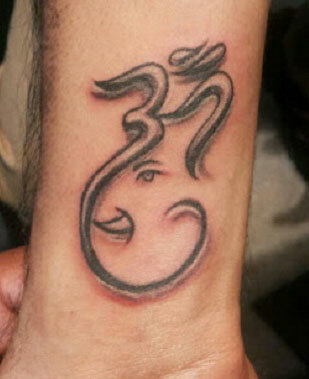 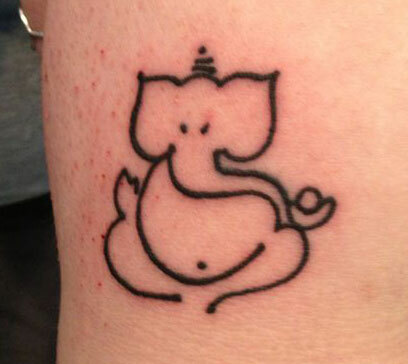 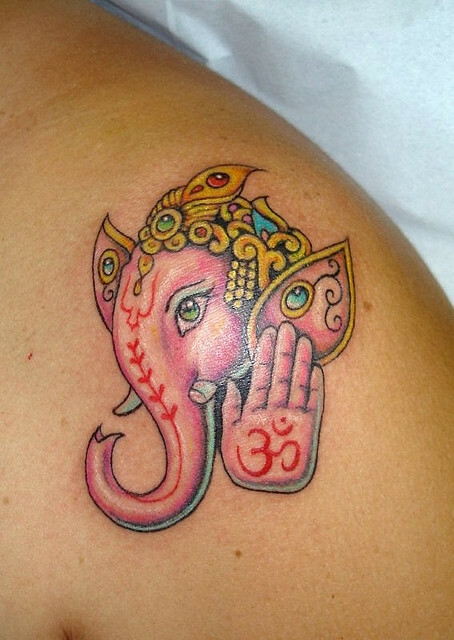 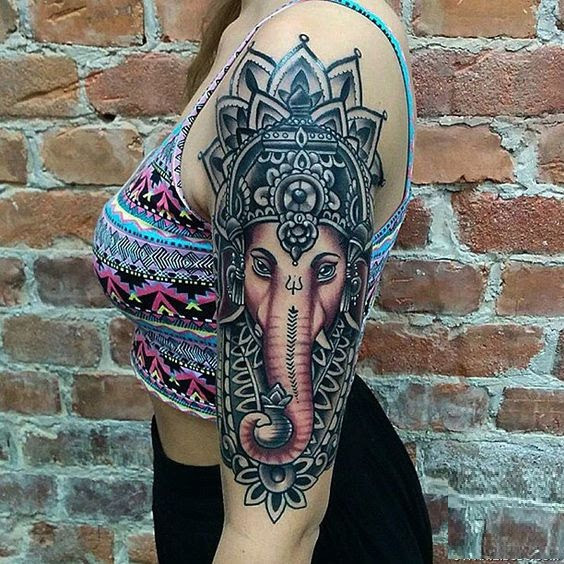 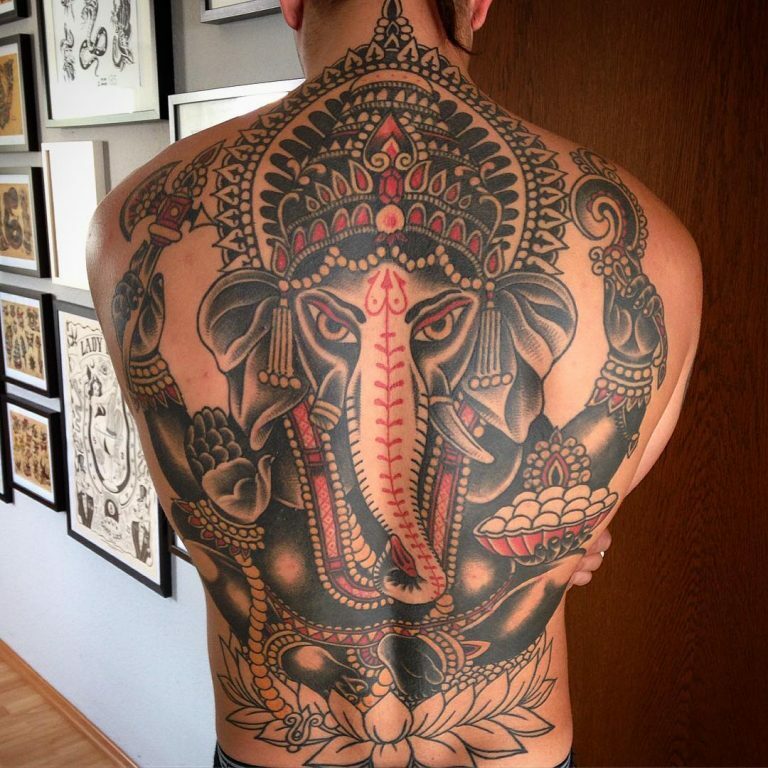 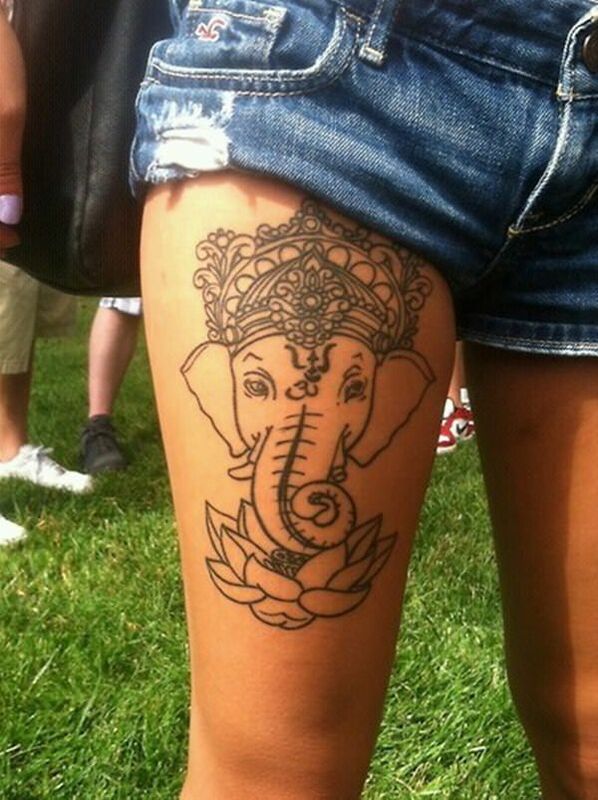 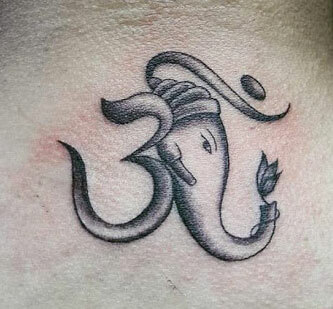 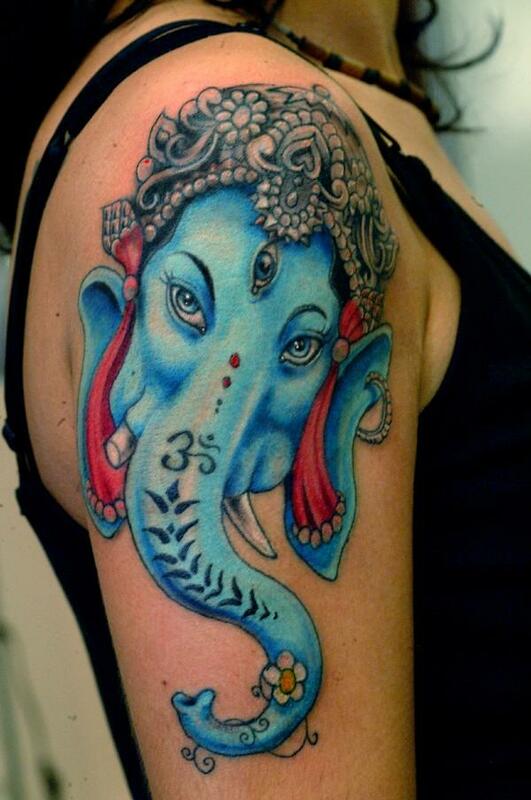 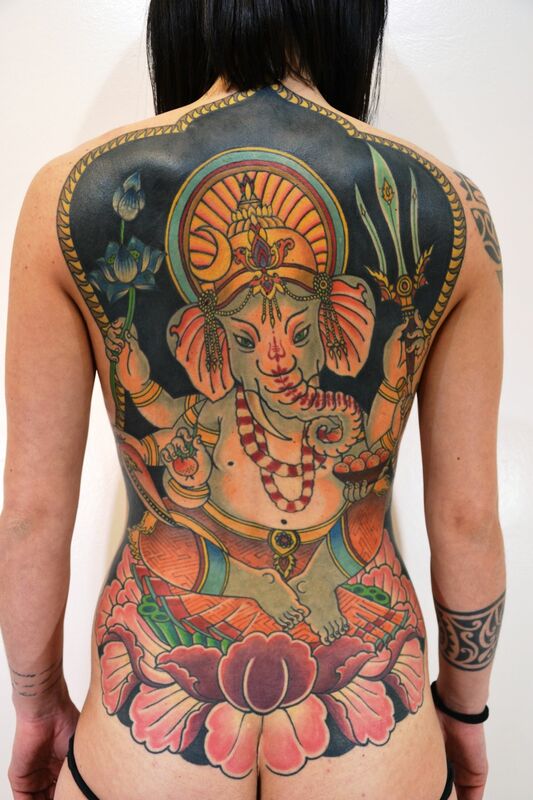 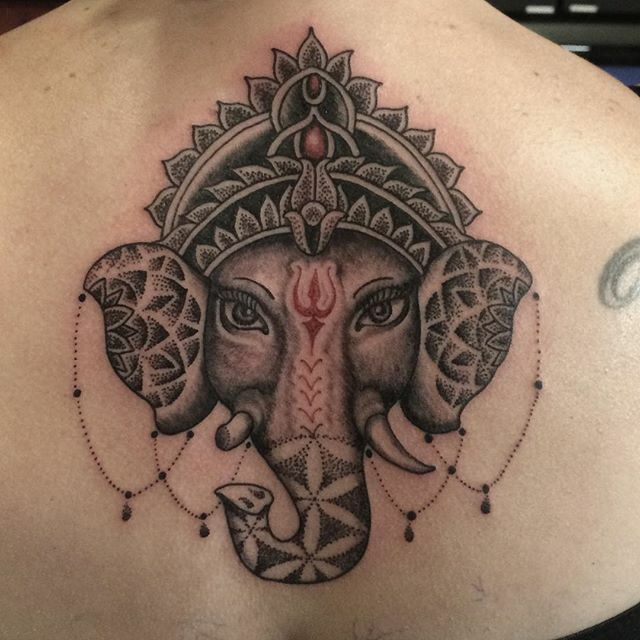 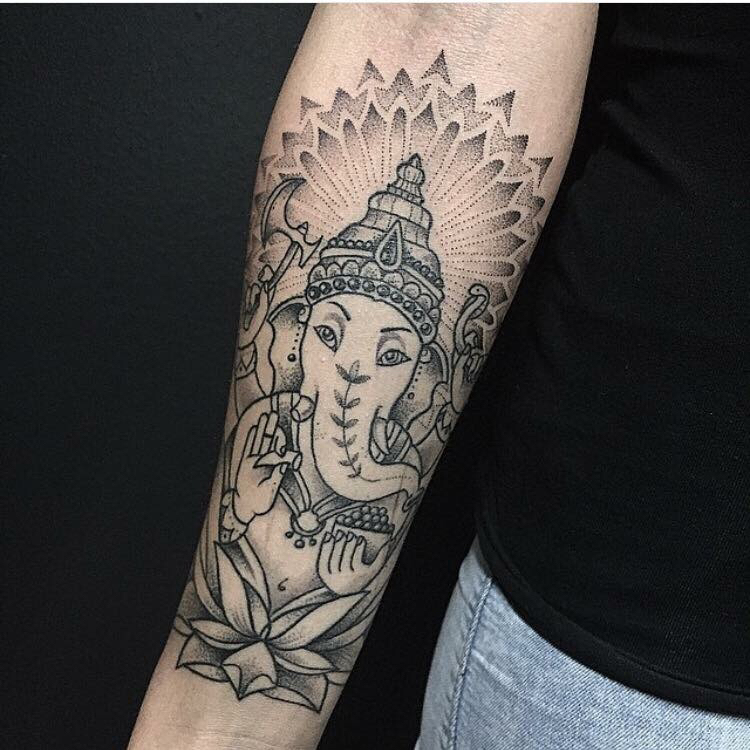 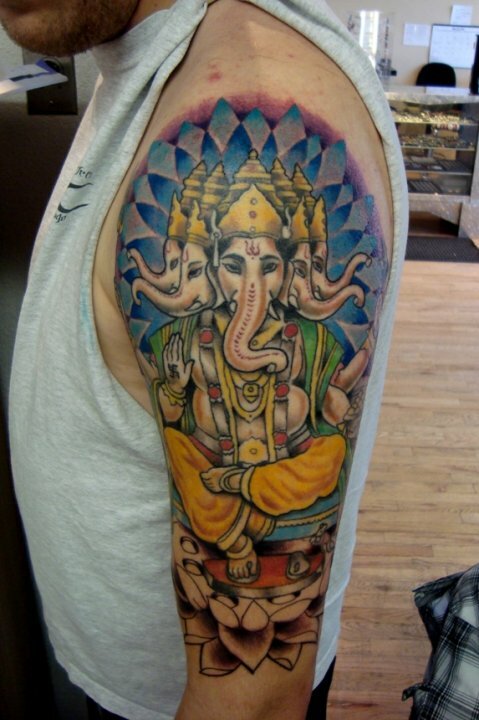 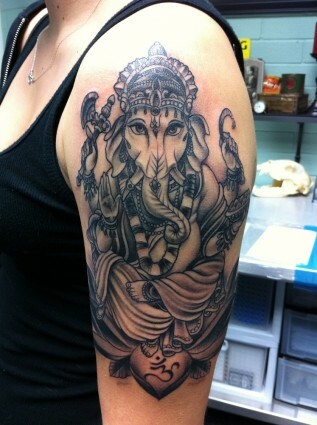 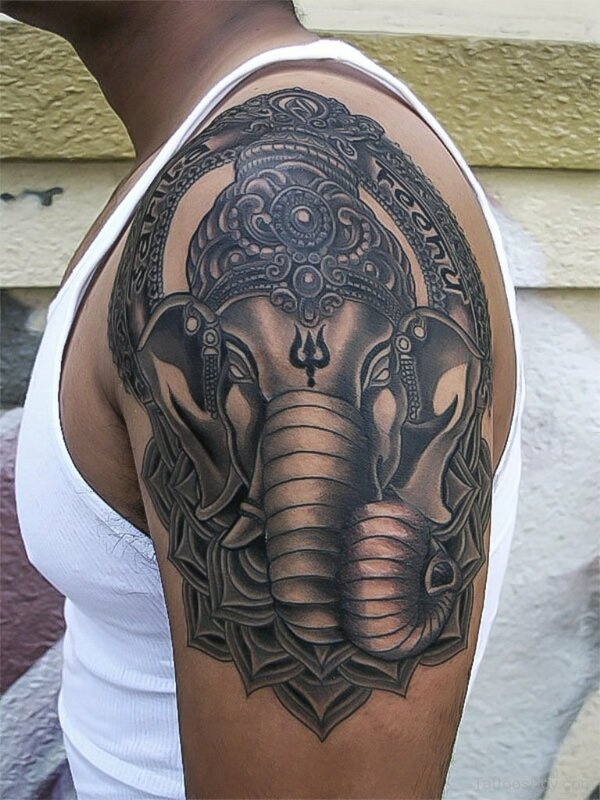 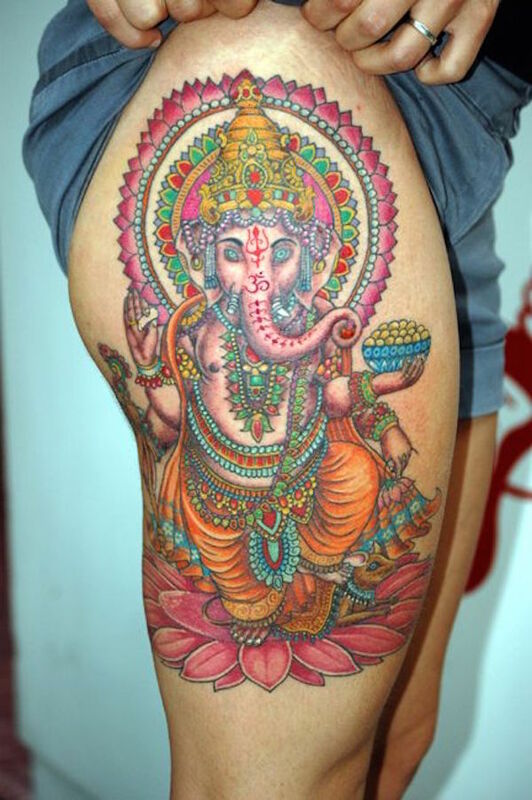 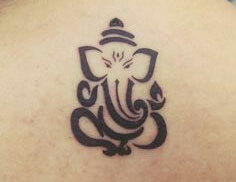 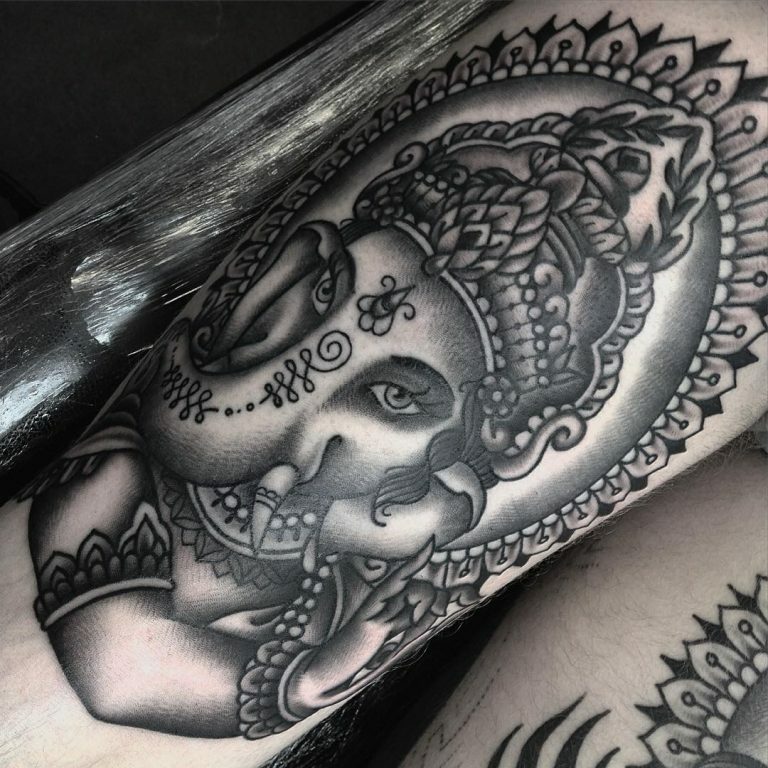 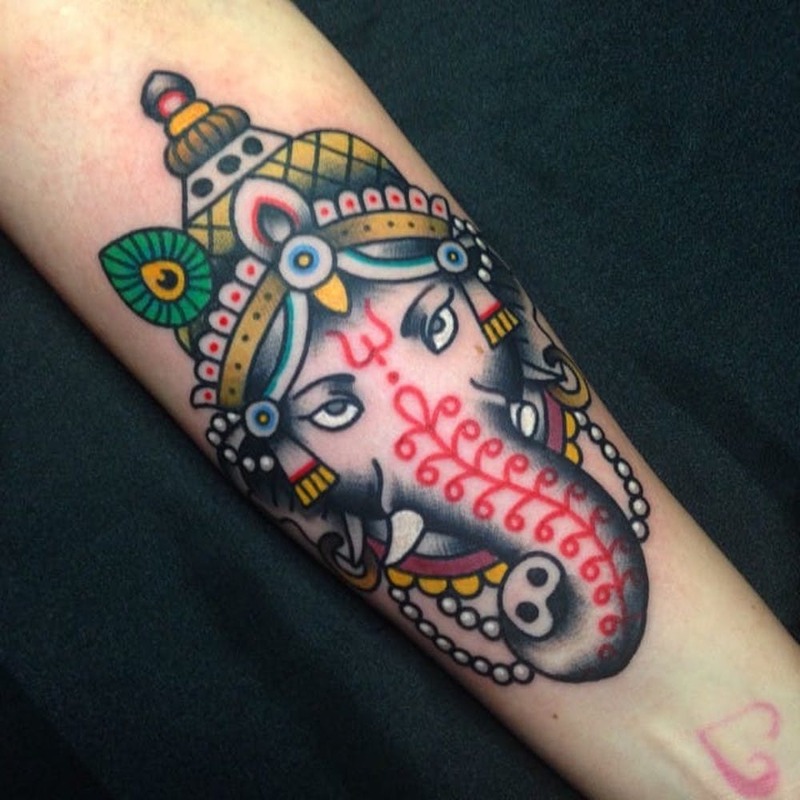 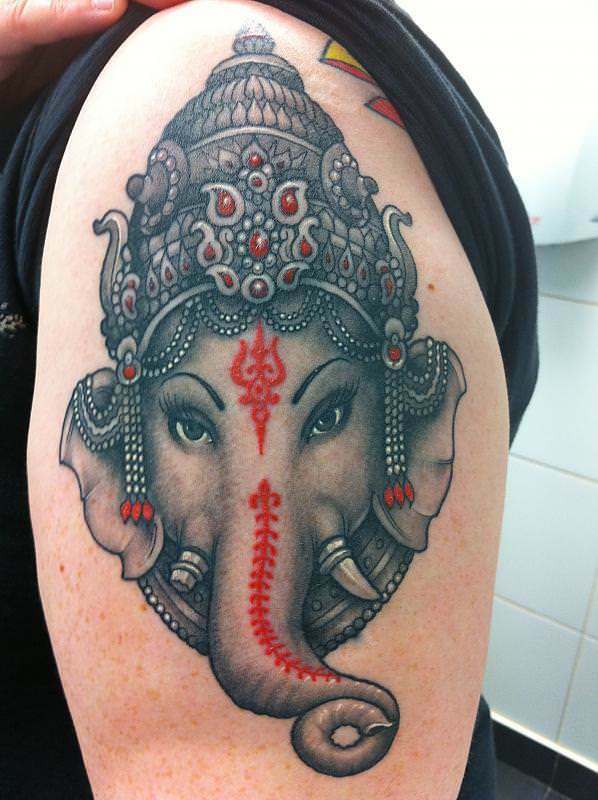 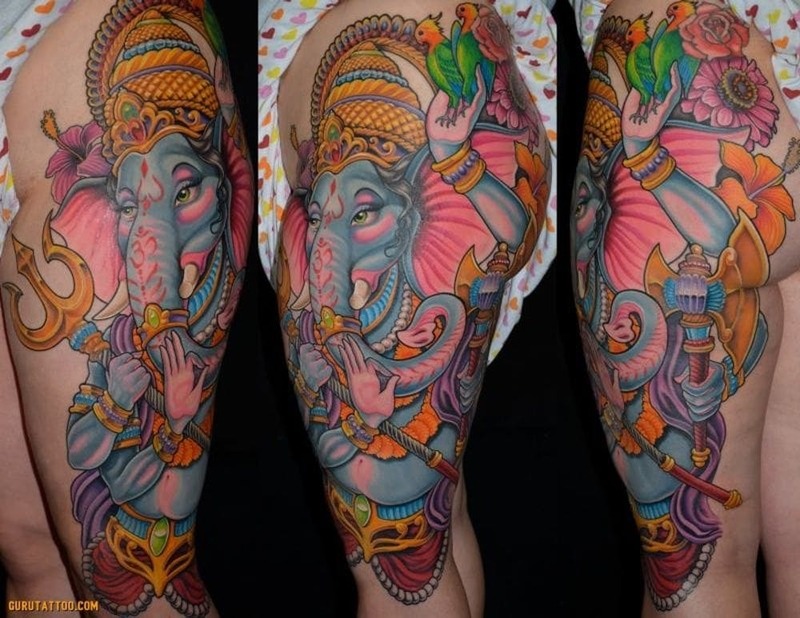 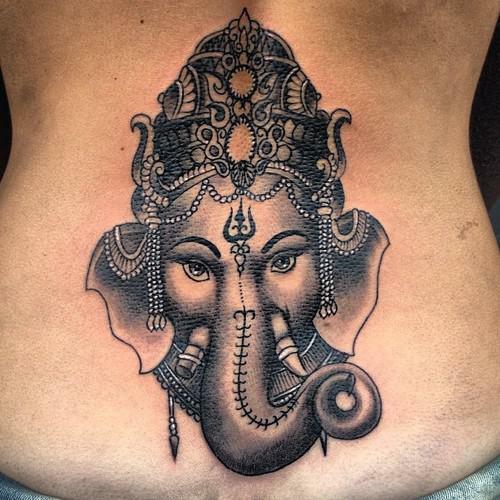 Ganesha tattoo represents spirituality, religion and godliness. 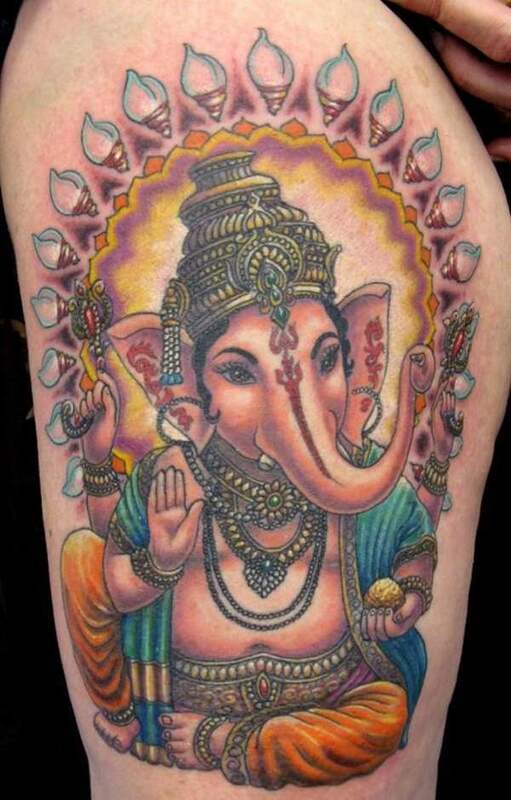 He is also known Lord of obstacles or difficulties and worshiped by millions. 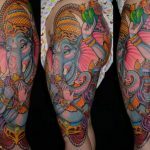 People believe that obstacle and difficulties in lives can be removed by worshiping lord Ganesha. 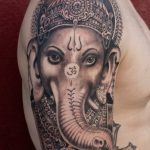 2 How did Ganesha get his elephant head? 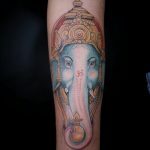 Ganesha is also the god of success and prosperity. 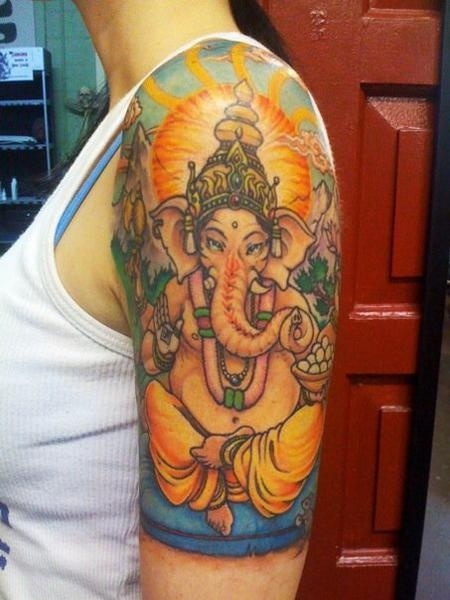 People worship Ganesha’s image and statue for good luck. 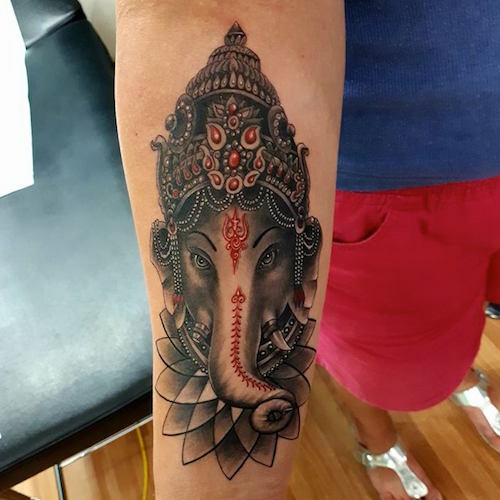 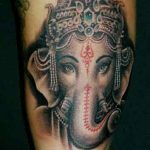 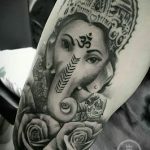 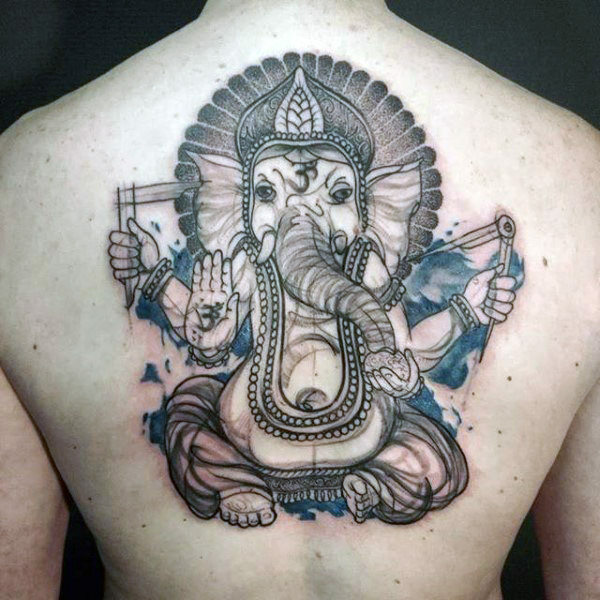 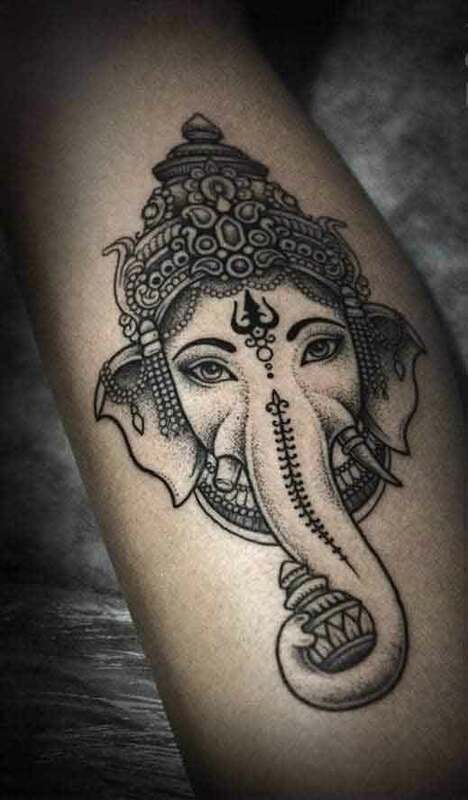 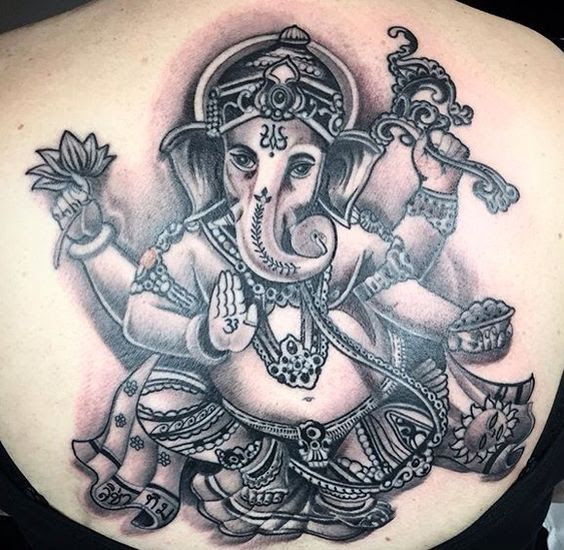 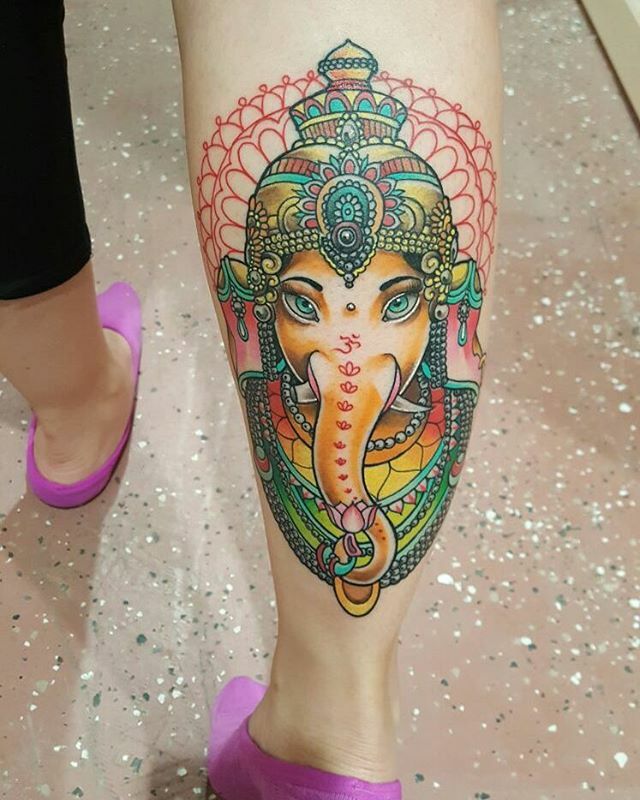 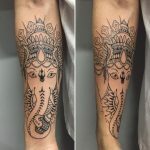 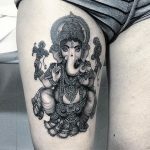 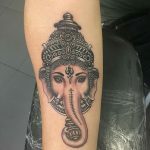 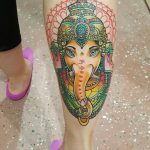 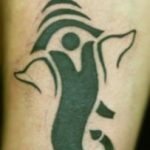 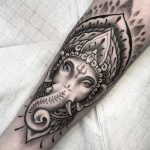 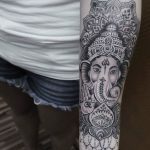 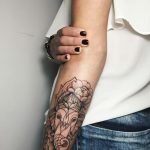 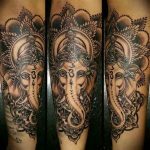 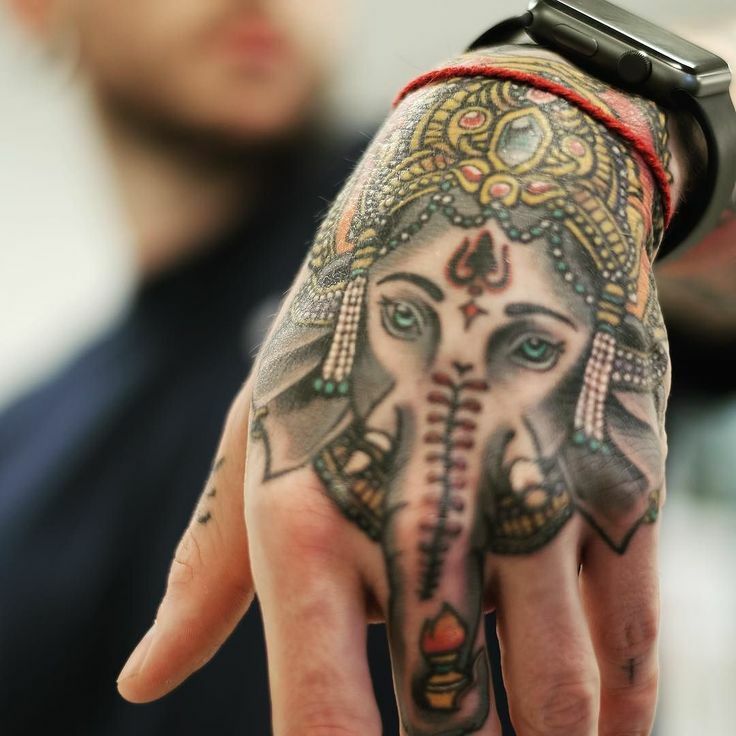 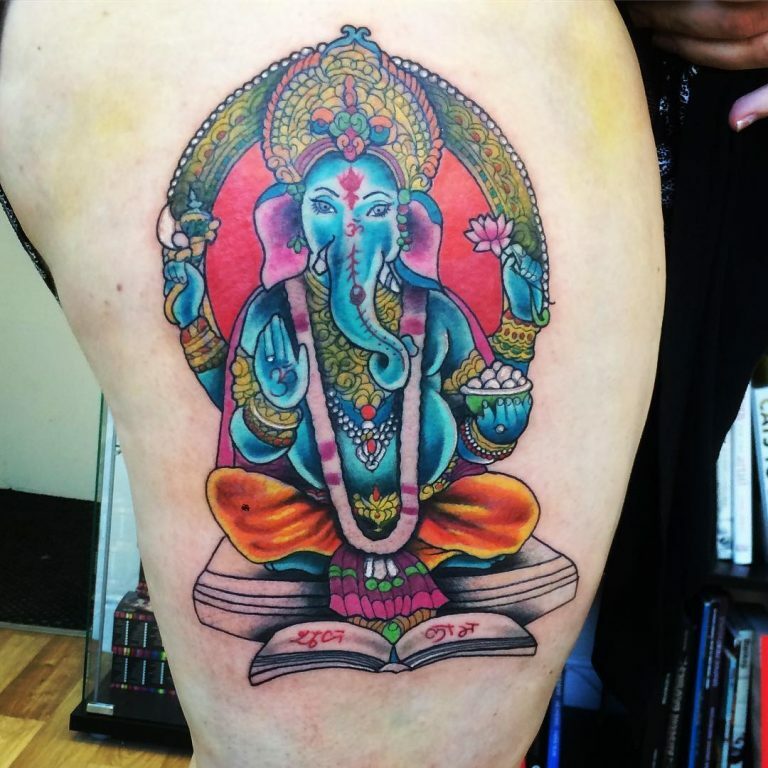 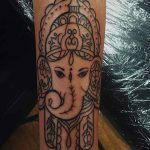 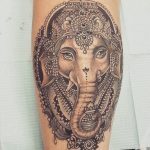 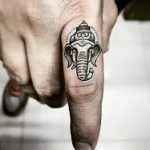 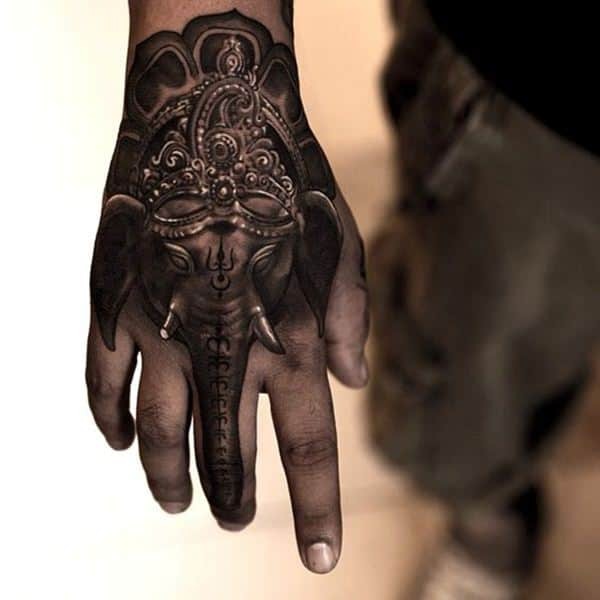 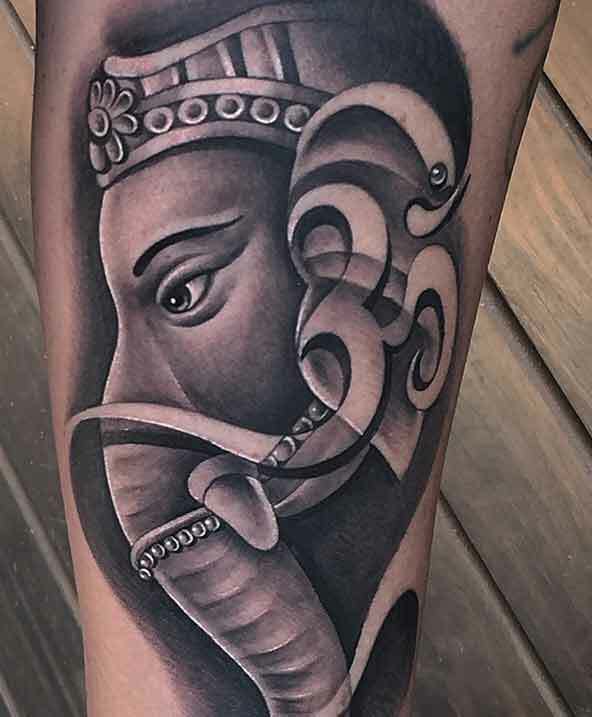 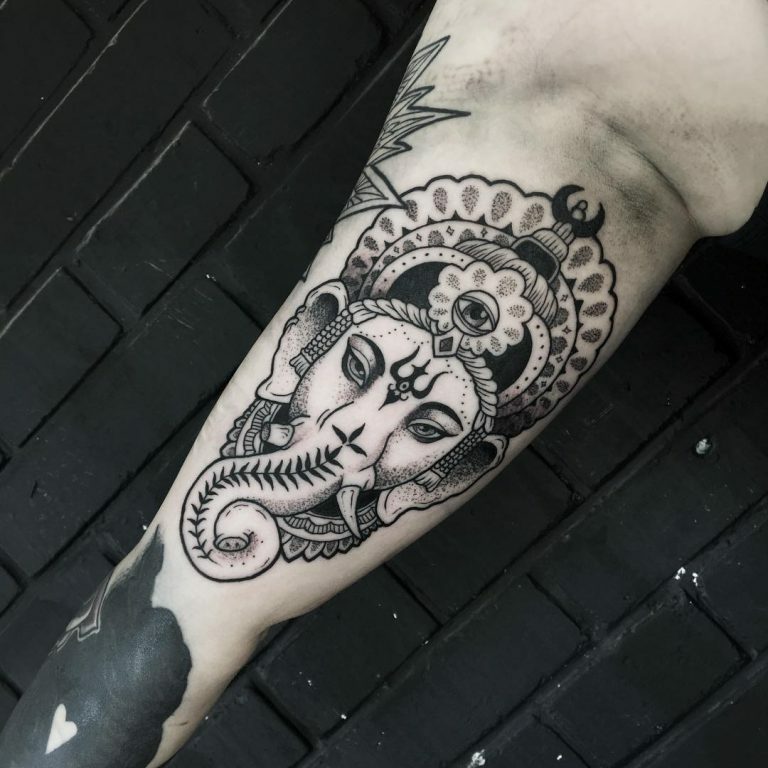 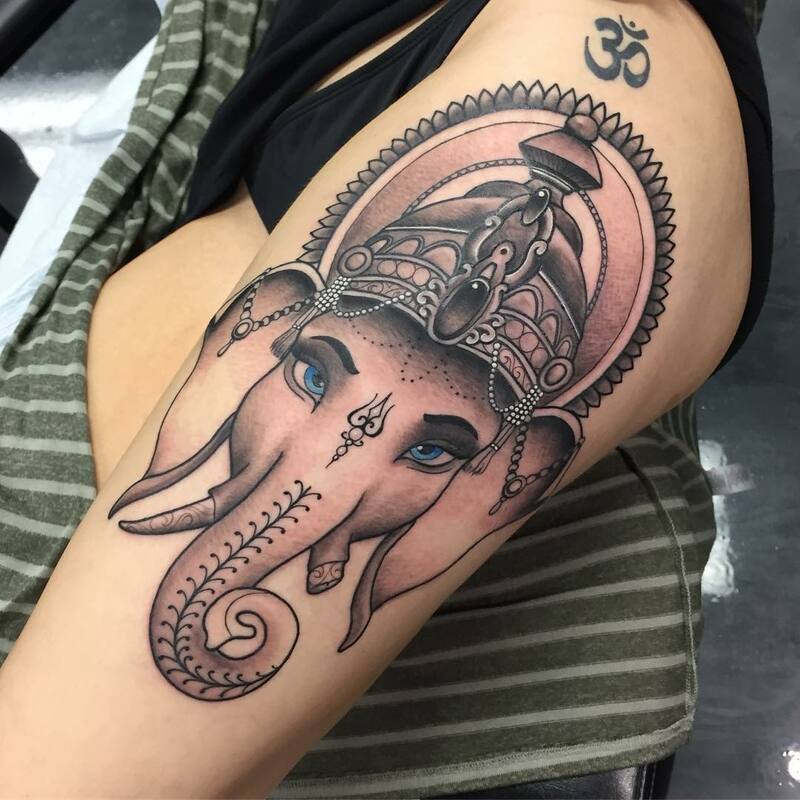 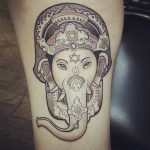 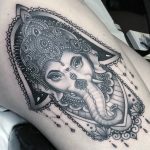 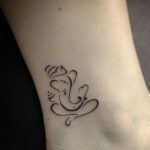 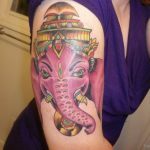 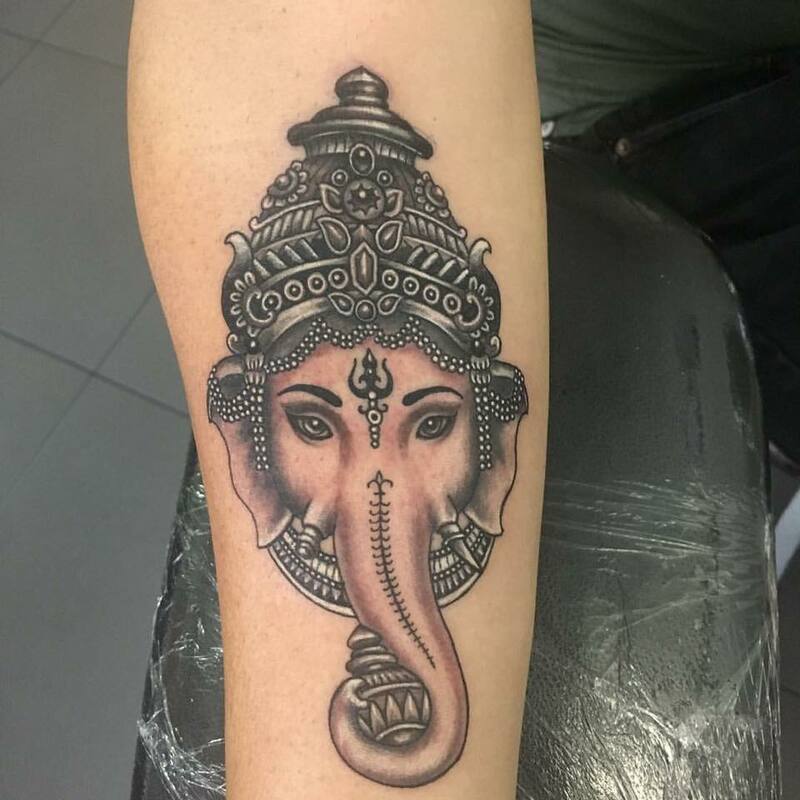 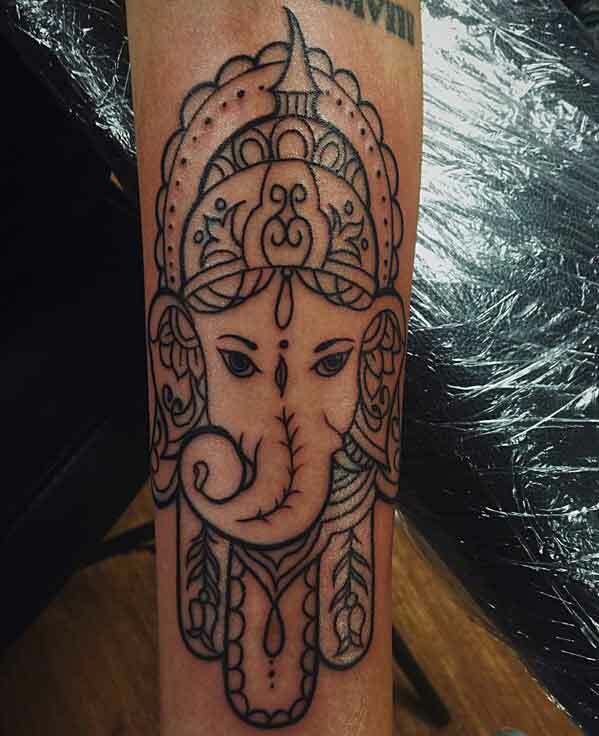 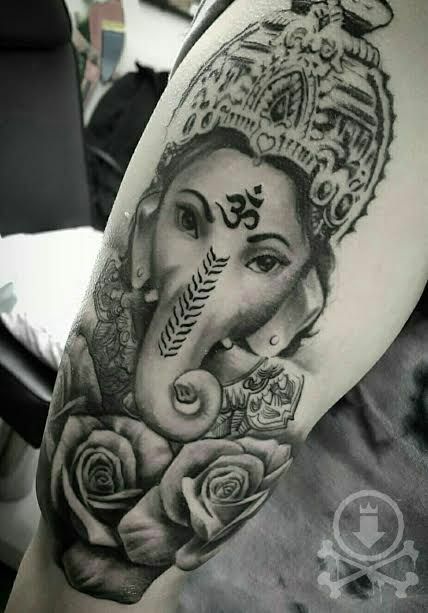 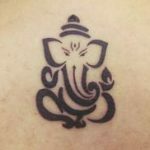 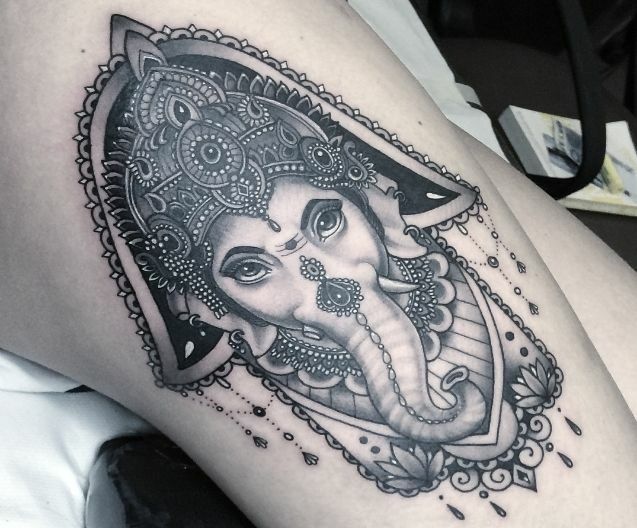 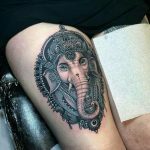 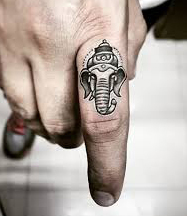 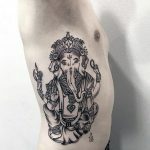 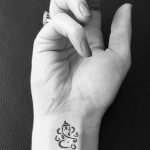 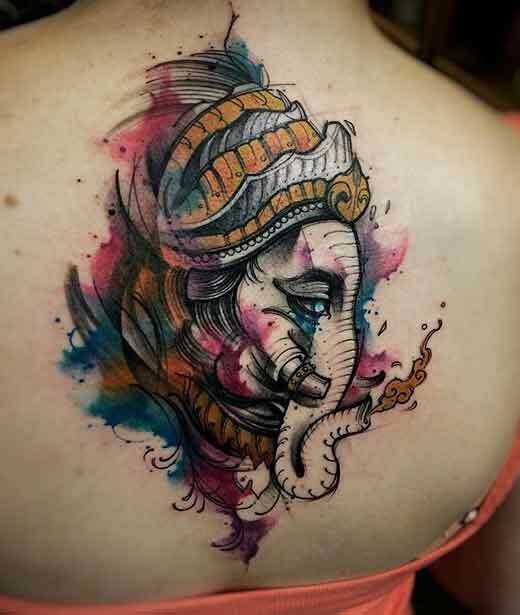 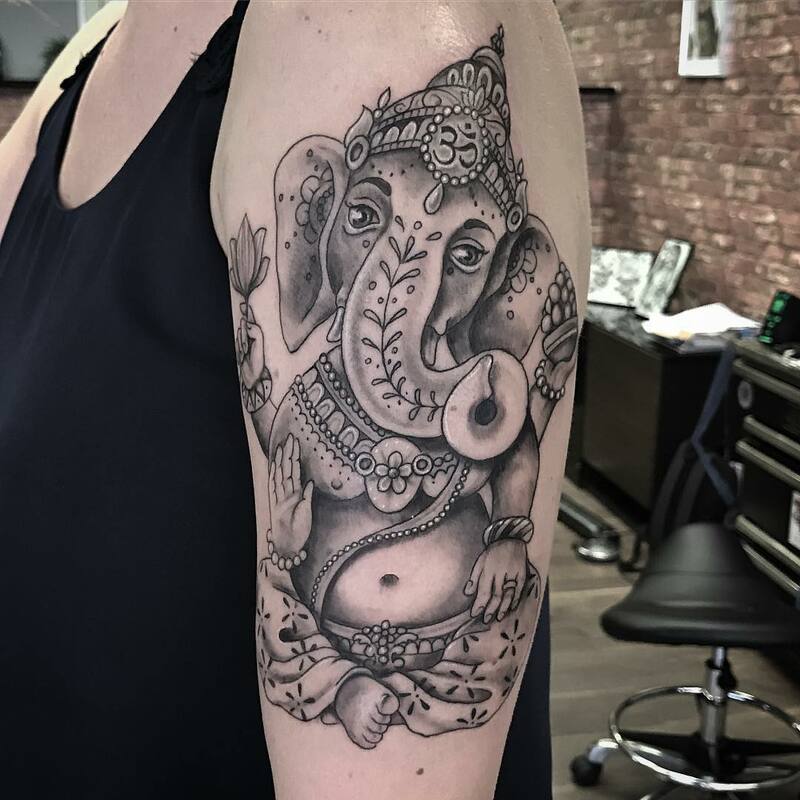 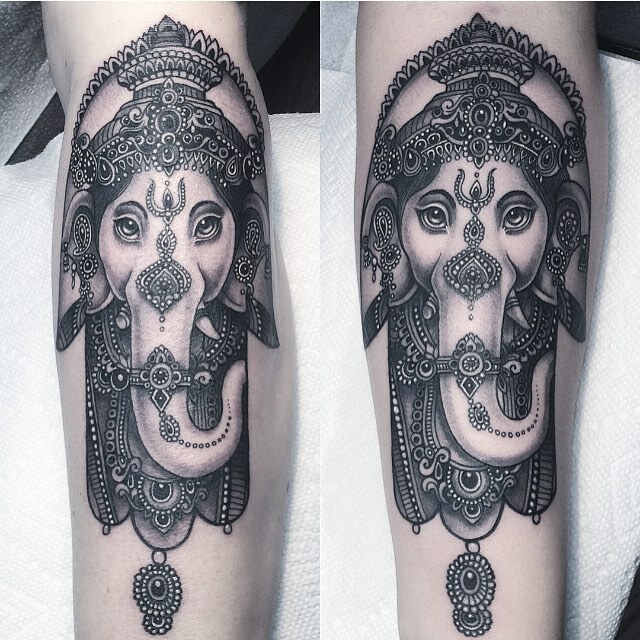 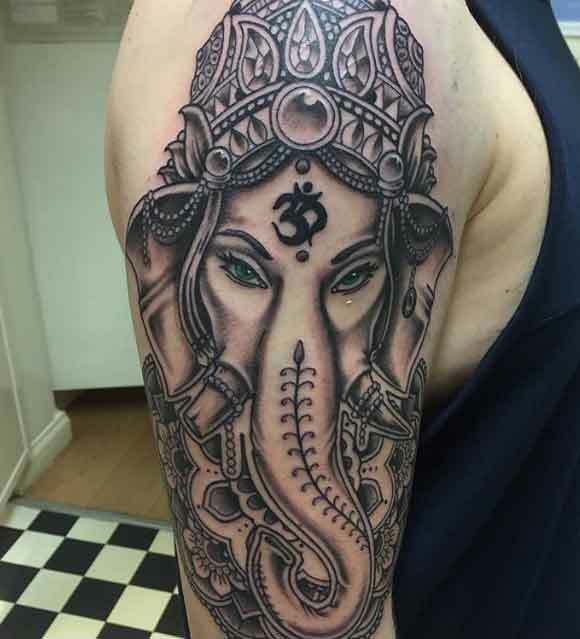 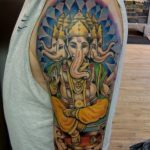 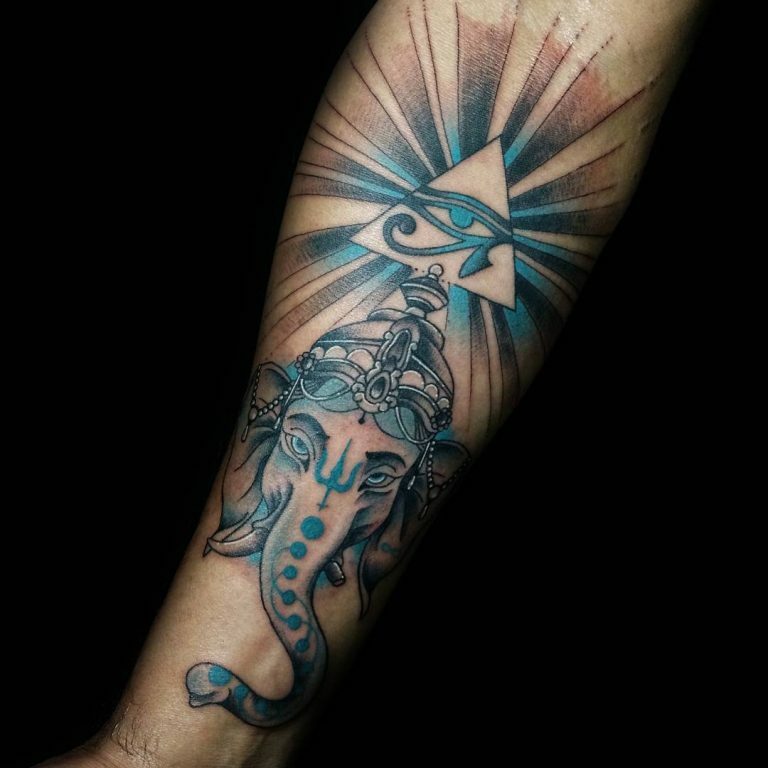 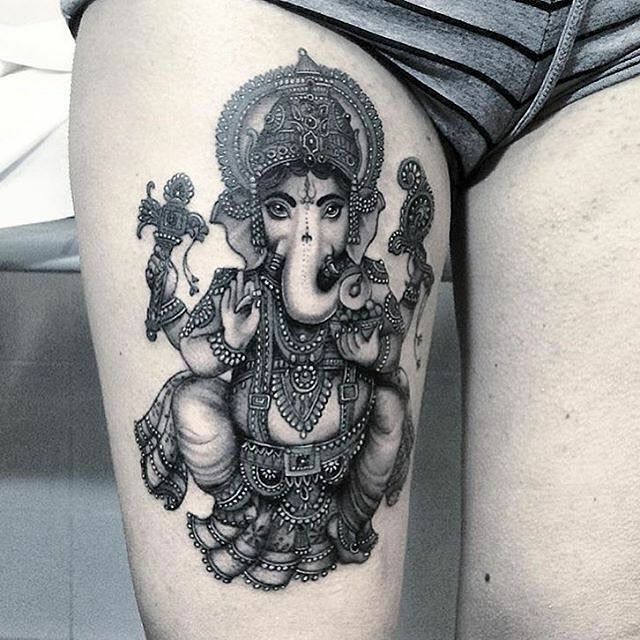 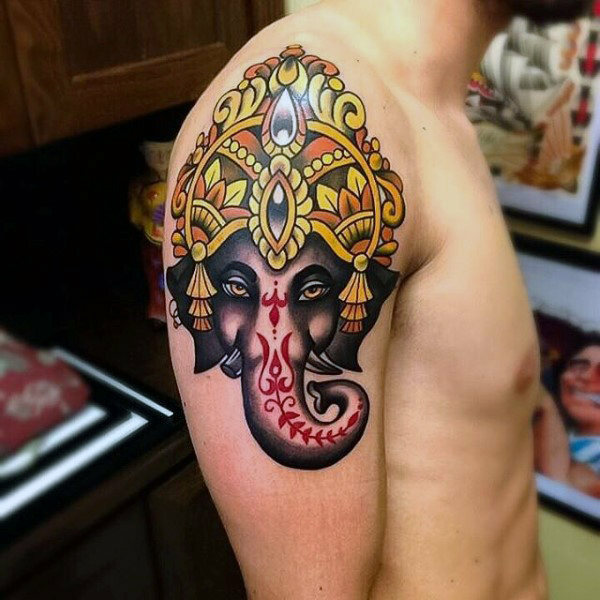 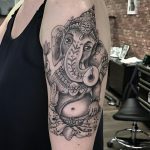 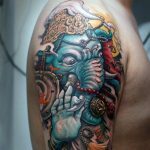 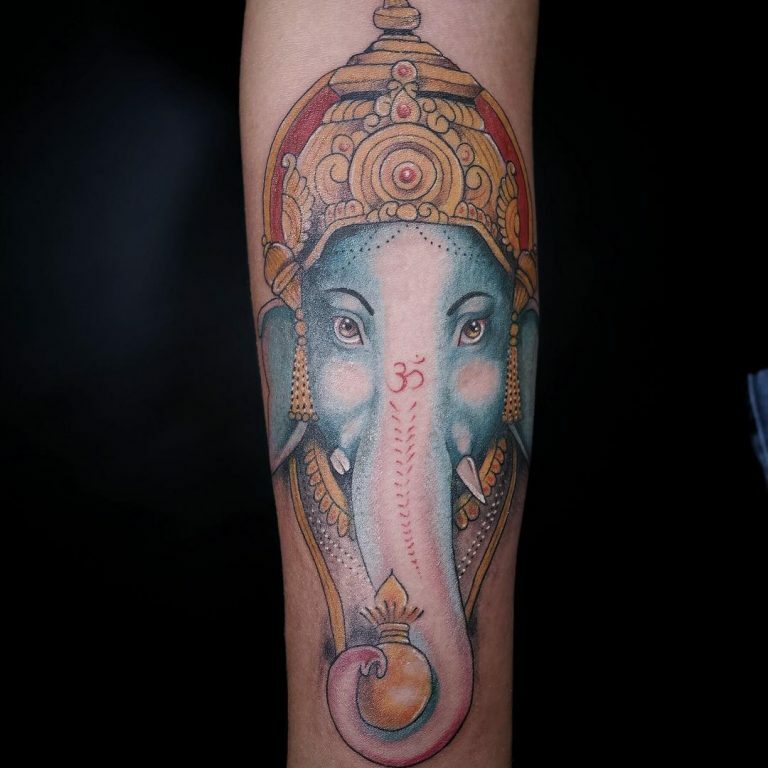 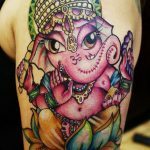 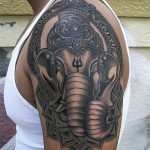 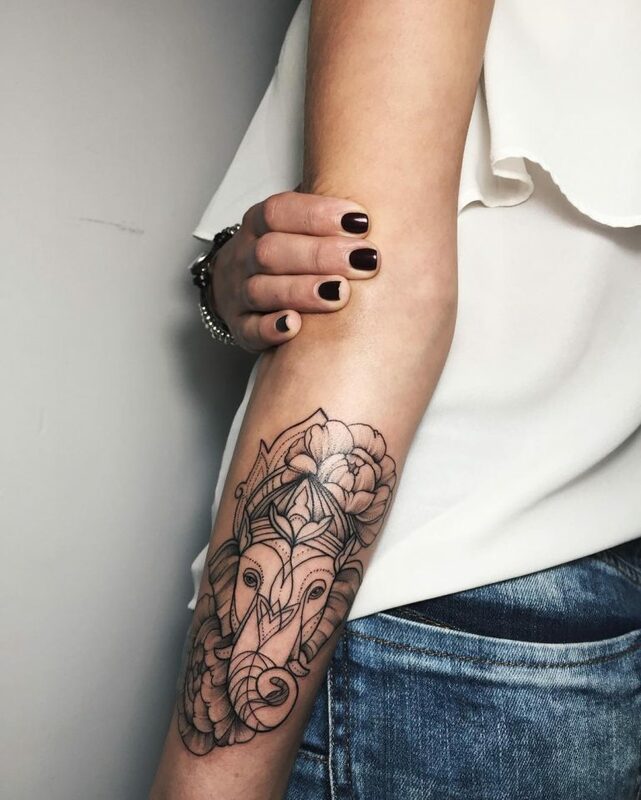 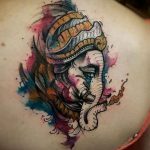 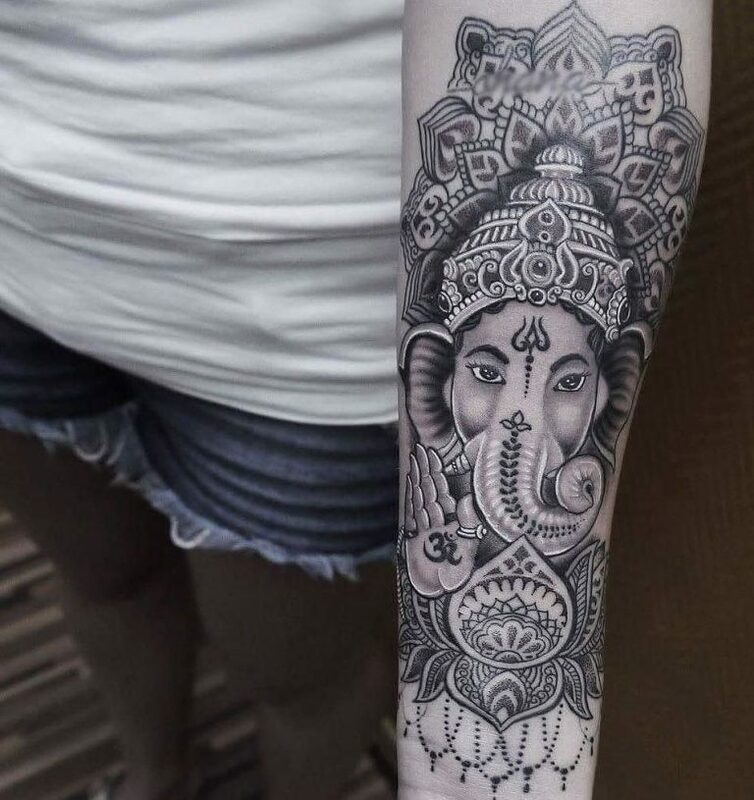 So, by having Lord Ganesha’s image tattooed on their body people believe that they will carry food luck with them forever and lord Ganesha will remove any obstacle that will comes in their lives. 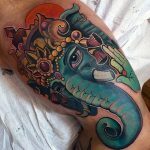 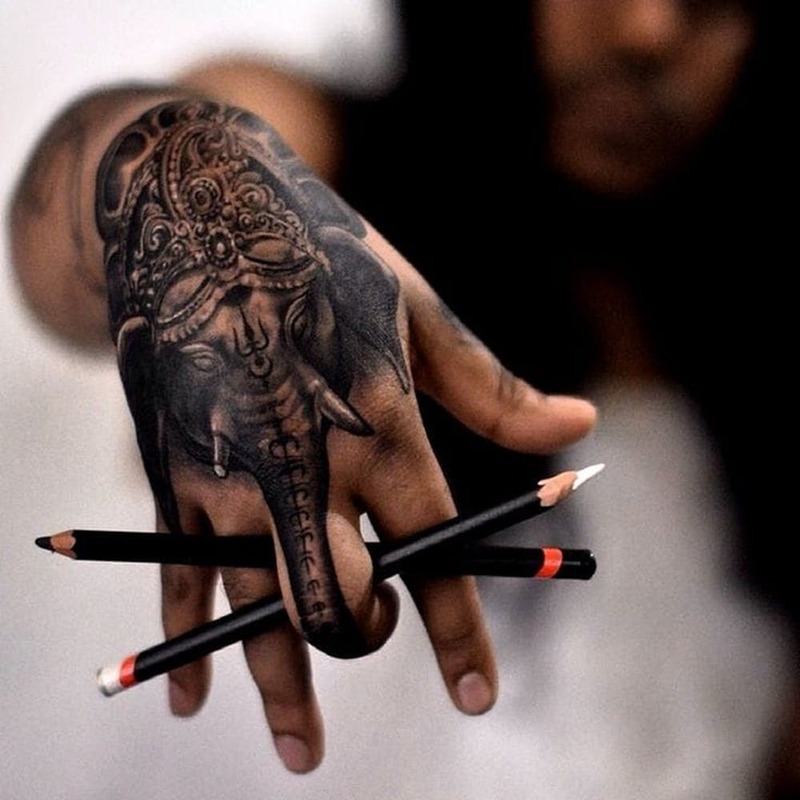 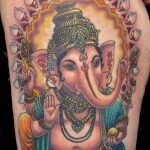 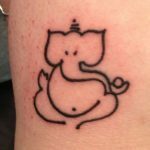 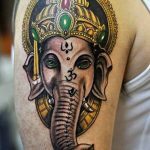 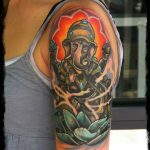 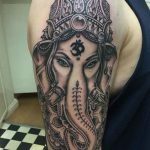 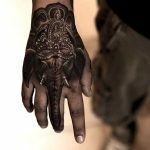 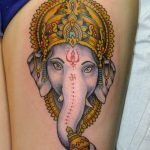 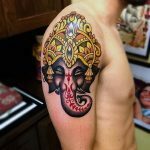 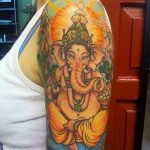 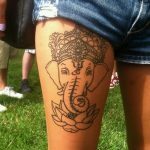 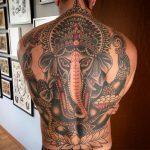 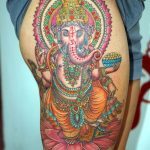 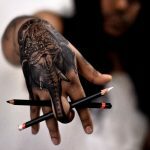 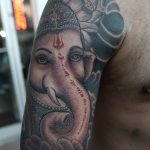 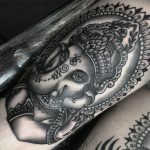 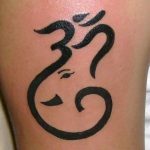 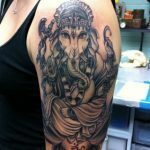 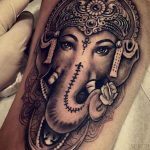 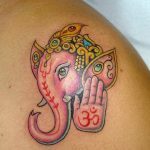 To understand the meaning of Ganesha tattoos we need to know about his appearance and the meaning of his names. 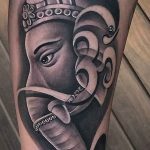 How did Ganesha get his elephant head? 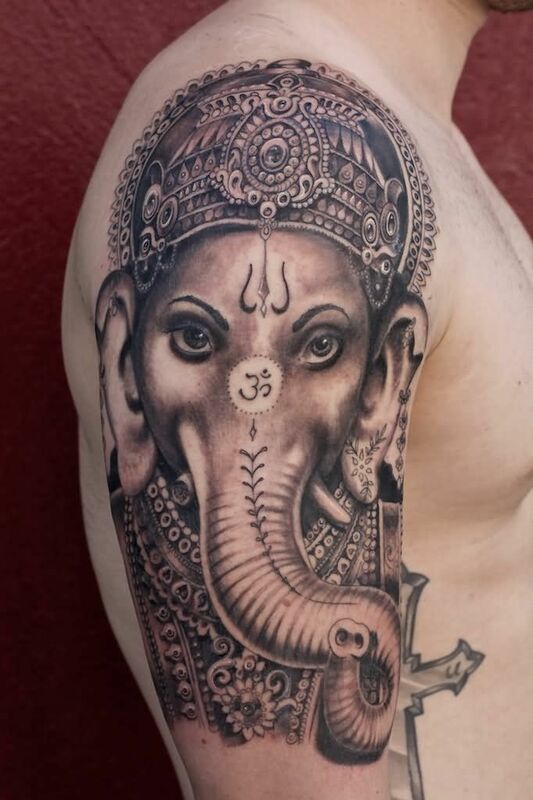 There are different stories about how Ganesha got his elephant head. 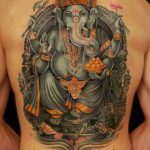 One story tells that Parvati became dirty when she was celebrating with Shiva. 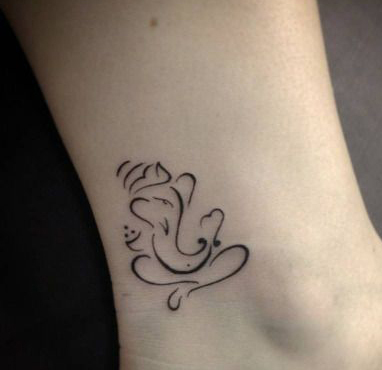 She removed the dirt from her body and created a boy with it. 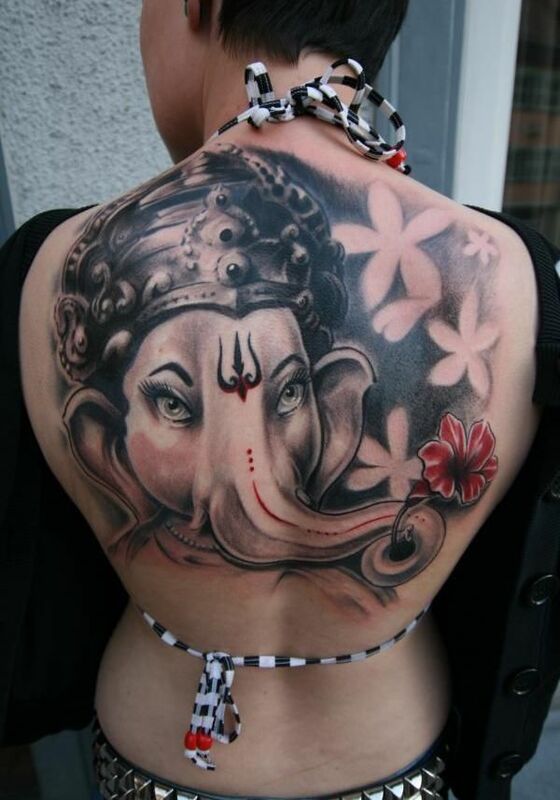 She asked the boy to keep guard while she bathed. 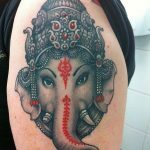 When Shiva returned the boy didn’t recognize him and wouldn’t let him pass. 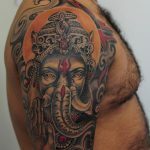 Shiva got furious and chopped the boys head off. 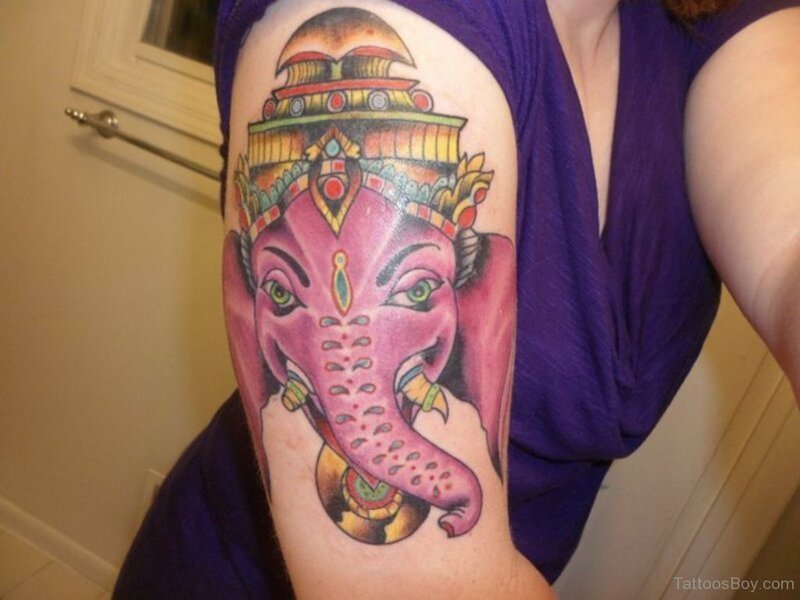 When Parvati found this, she was shocked. 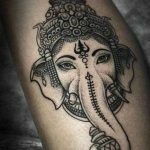 She explained the whole situation to Shiva and asked him to save their son. 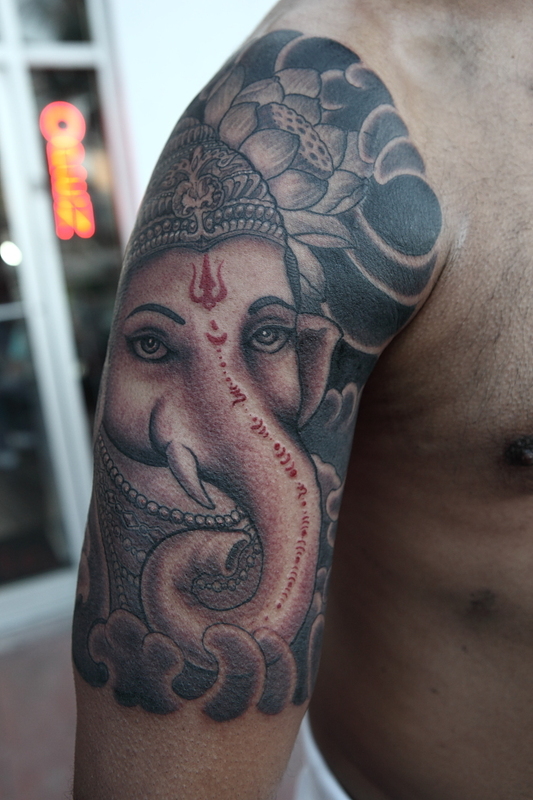 Shiva sent his men to the forest to find him a head of the first dead animal they can find. 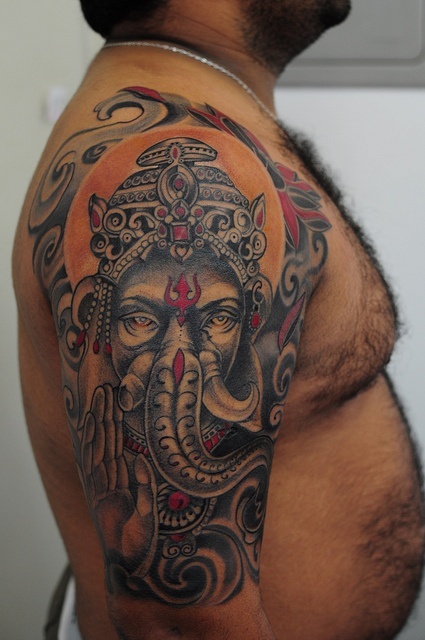 The men returned with an elephant head and Shiva used the head to make the boy alive again and Ganesha was born. The elephant’s head symbolizes unmatched wisdom and knowledge gained through reflection and listening. 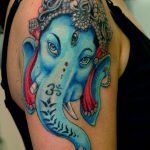 Because of his role as a mother’s doorkeeper, statues of Ganesha is often placed at the doors to keep out the unworthy. 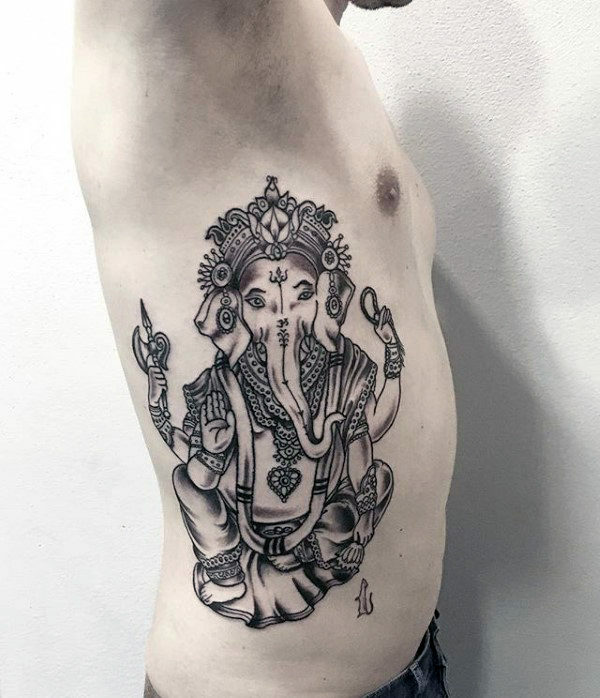 Ganesha has a pot belly that represents generosity and total acceptance. 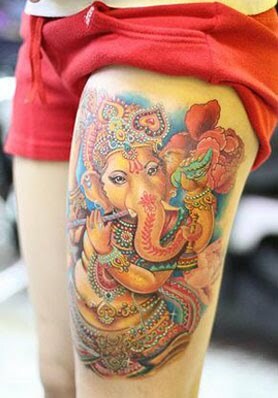 Ganesha has a single tusk that signifies one-pointedness. 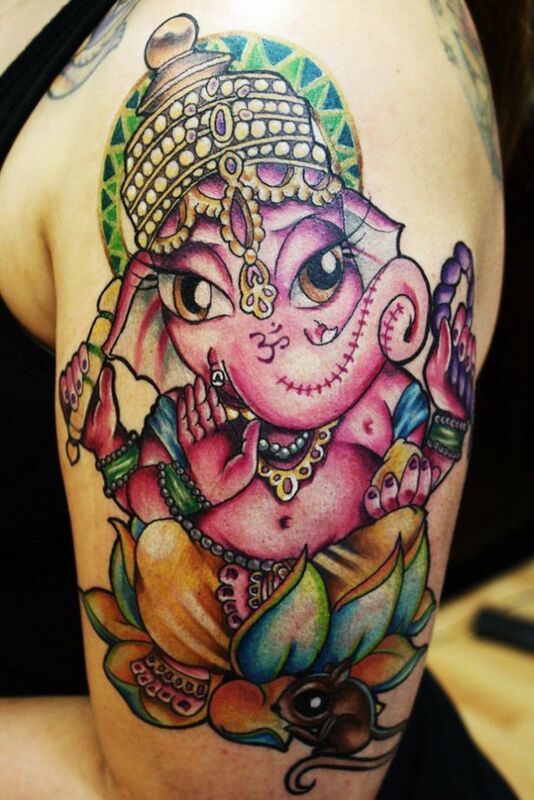 Ganesha’s skin color is bright red. Ganesha has four arms that hold a noose called Pasha that represents his power to bind and free obstacles, an elephant goad symbolic of how one should steer the soul away from the ignorance and illusions of this world just like a mahout steers an elephant away from any treacherous path, and a pot of sweets offering rewards, other hand provides blessings. 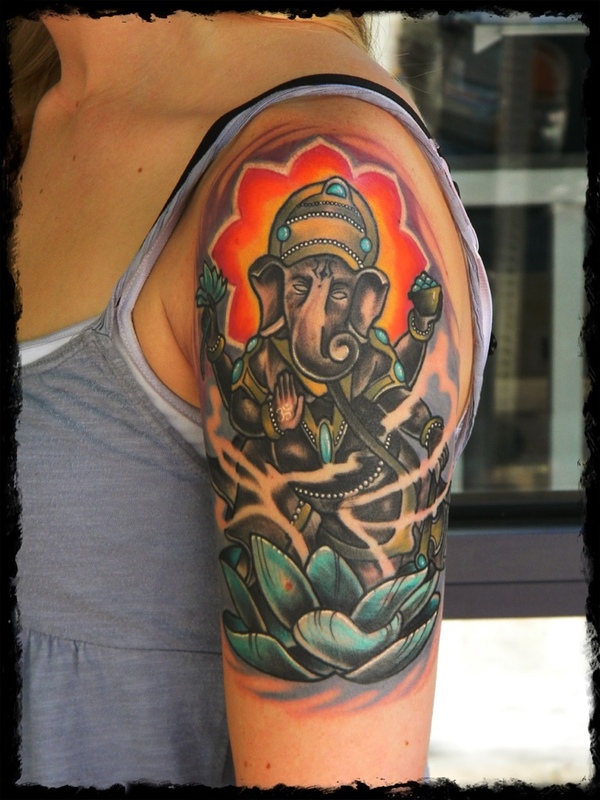 Ganesha uses a mouse as his mount. 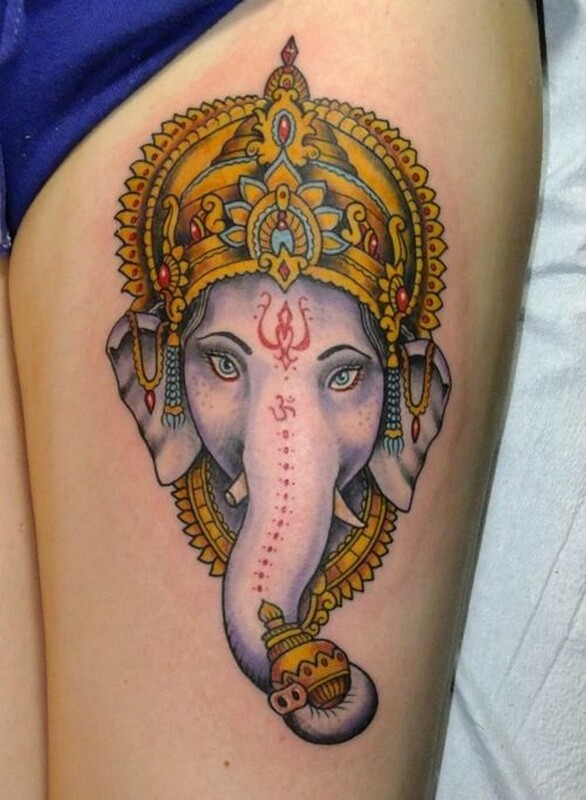 The combination of mouse and elephant represents removal of all obstacles of any size. 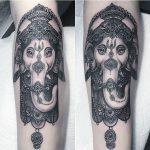 Akhuratha One whose chariot is puller by a rat. 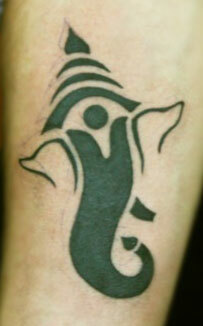 Alampata One who is forever eternal. 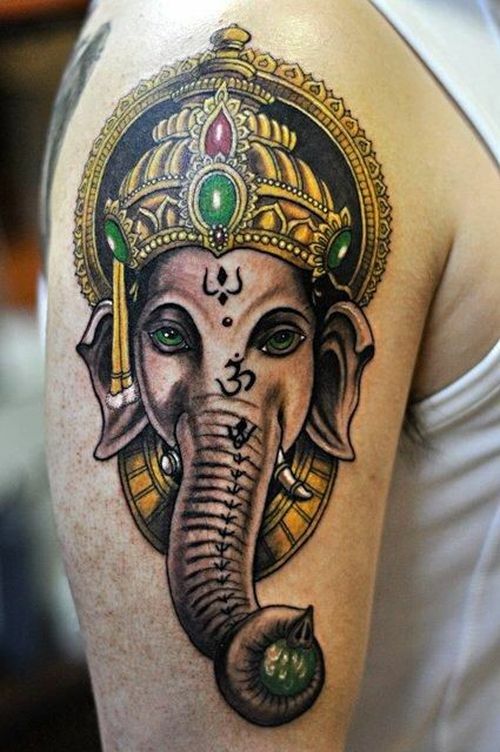 Budhdhinath The God of wisdom. 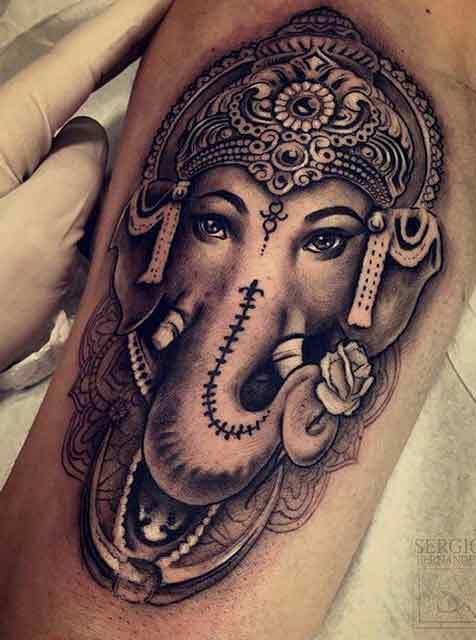 Heramba because he is very close to his mother. 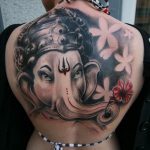 Lambodara One who has a pot belly.